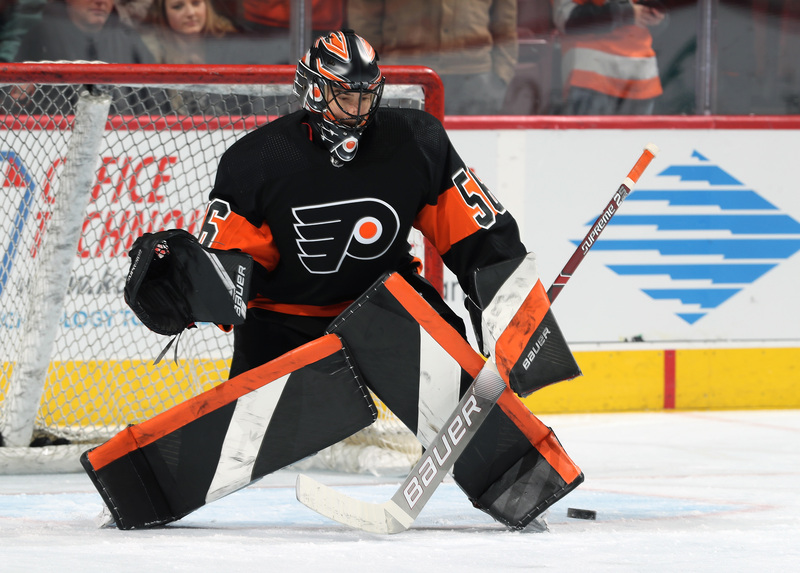 Lehigh Valley, Pa. – The Philadelphia Flyers have announced today that they have loaned goaltender Mike McKenna to their American Hockey League affiliate, the Lehigh Valley Phantoms for conditioning purposes. McKenna, 35, has played in 11 NHL games this season, including one with the Philadelphia Flyers on January 8, 2019 against the Washington Capitals. McKenna also appeared in 10 games for the Ottawa Senators this season, posting a 1-4-1 record with a 3.96 goals against average and a 0.897 save percentage. He played 6 games for the Belleville Senators in the American Hockey League as well, going 3-3 with a 2.72 GAA and a 0.914 save percentage. A native of St. Louis, Missouri, McKenna has been very well-traveled during his hockey career. Over his 14-year professional career, McKenna has spent time with seven different NHL teams and played for 12 different AHL cities. McKenna has a 3.60 GAA and 0.890 save percentage in 35 NHL games during his career. The 6-foot-2 goaltender has backstopped his team to the Calder Cup Finals in each of the last two seasons. He went 14-8 with a 2.41 GAA and .927 save percentage for the Texas Stars in 2018 and had a 13-9 record with a 2.68 GAA and .911 save percentage for the Syracuse Crunch in 2017. Lehigh Valley returns from the All-Star break on Friday in Bridgeport for a rematch with the Sound Tigers at 7:00pm. They then will travel to Hershey on Saturday for another match-up with the Bears at 7:00pm.